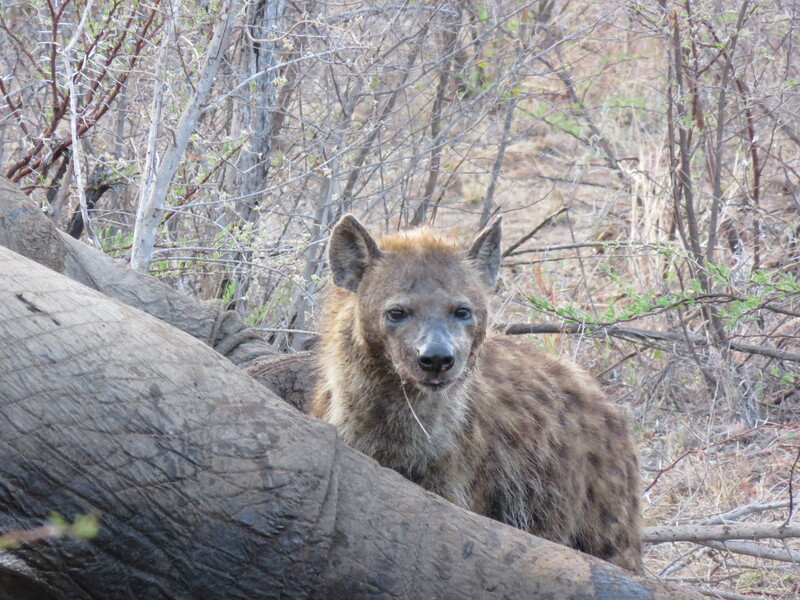 Allow me to tell you how hyenas eat an elephant. It’s with ease. If you work in the corporate sector, you’ve no doubt heard the saying “How do we eat this elephant?” or variations of it. 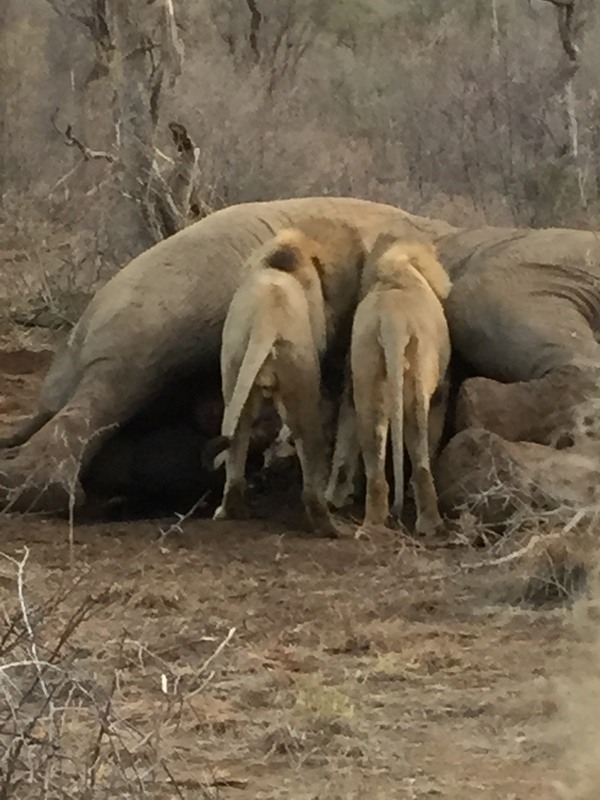 On a recent trip to the bush, we happen to come across a dead elephant and I got insight into exactly how an elephant gets eaten. There are important lessons that corporates need to know and perhaps the first thing I noticed is that everyone has a role to play. The elephant had been dead for about 3 days before we arrived and it was already stinking so badly, we could hardly breath! 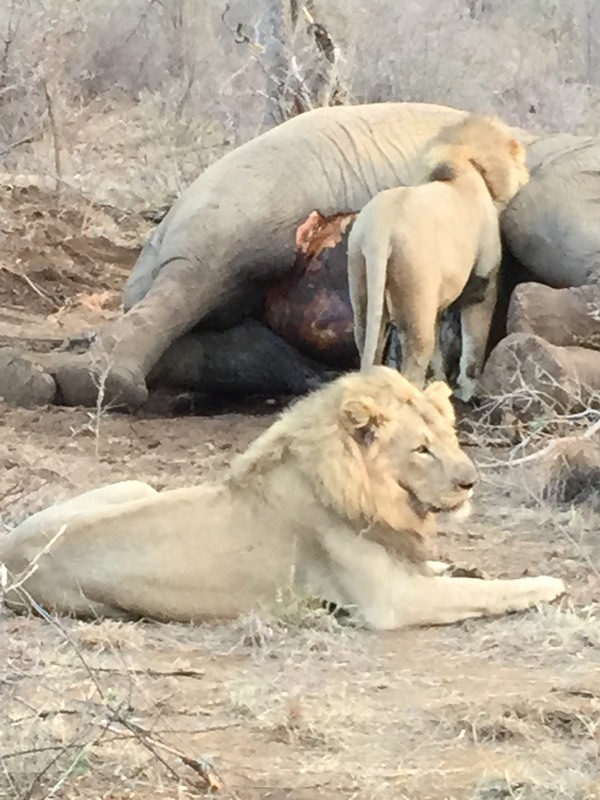 The lions were trying to eat it, but were struggling. 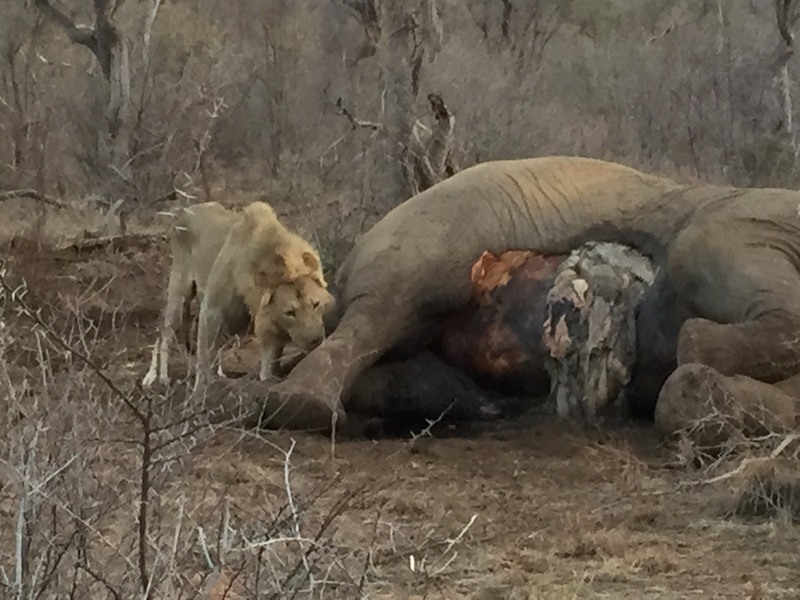 You could sense their frustration as they licked & scratched but failed to rip open the body of the elephant. As hard as they tried, they were ill-equipped to tear open the hard, tough hide and were forced to wait. 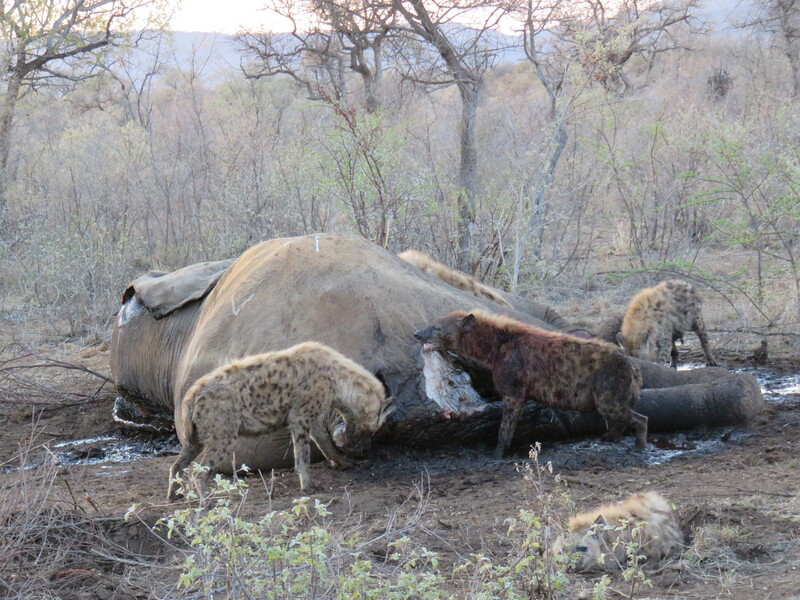 The jackals ran around the elephant, even jumping on top of it. They are the most beautiful animals! They also look deceptively tame as they mirror many behaviors of house-trained dogs. They too had to wait. 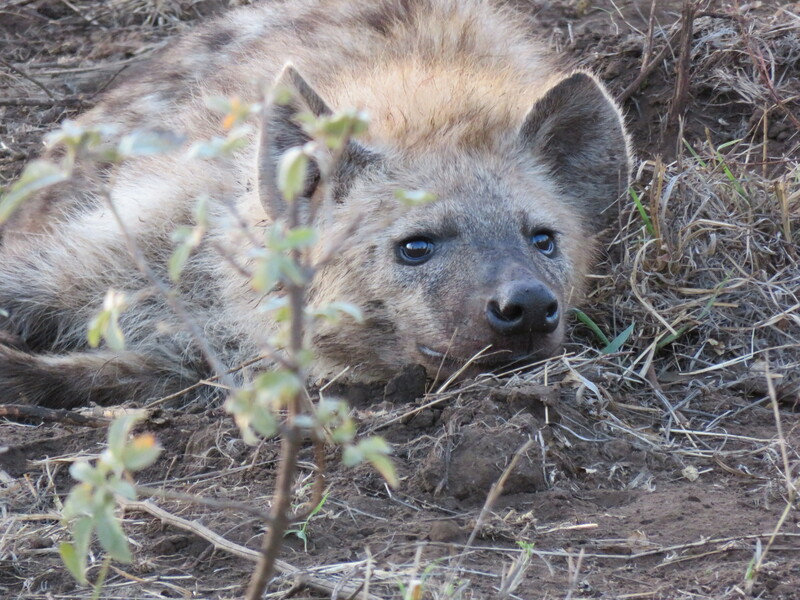 A day later on our trip, when the stink had become even more unbearable, the hyenas arrived. You knew they were coming by that familiar cry from afar. Typically shy animals which you only really get a brief glimpse of, we were spoilt when so many of them, both spotted and brown, arrived to do what they do best & they did not waste time. They ripped open the skin of the elephant with ease. They gnawed open the swollen belly of the elephant and even climbed right inside of the animal, coming out drenched in blood and raw meat. It was both disgusting but amazing to watch. 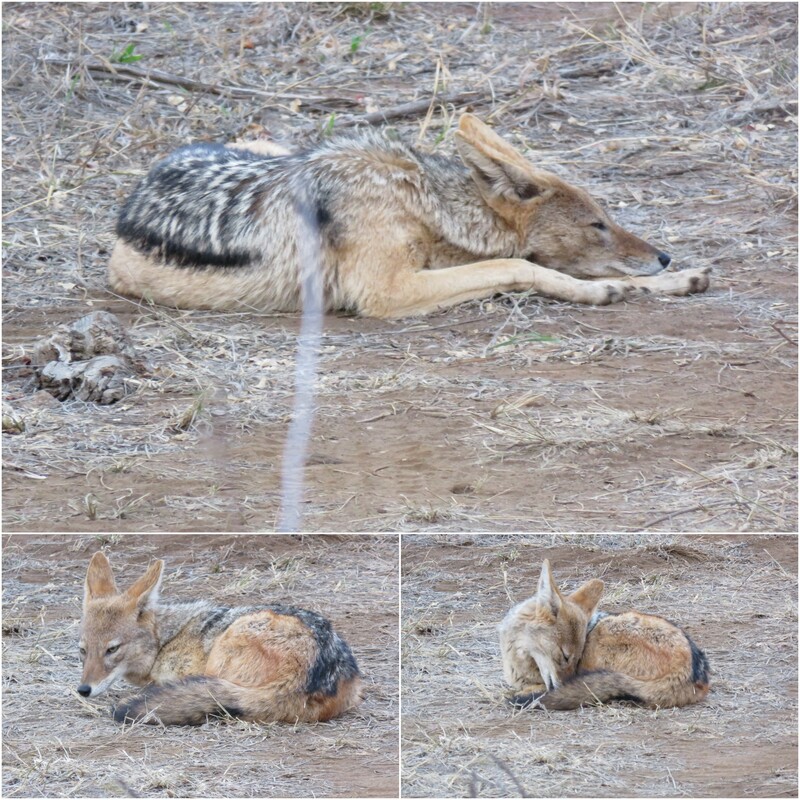 While the lions and jackals waited, their bellies swelled up by how much they were eating. 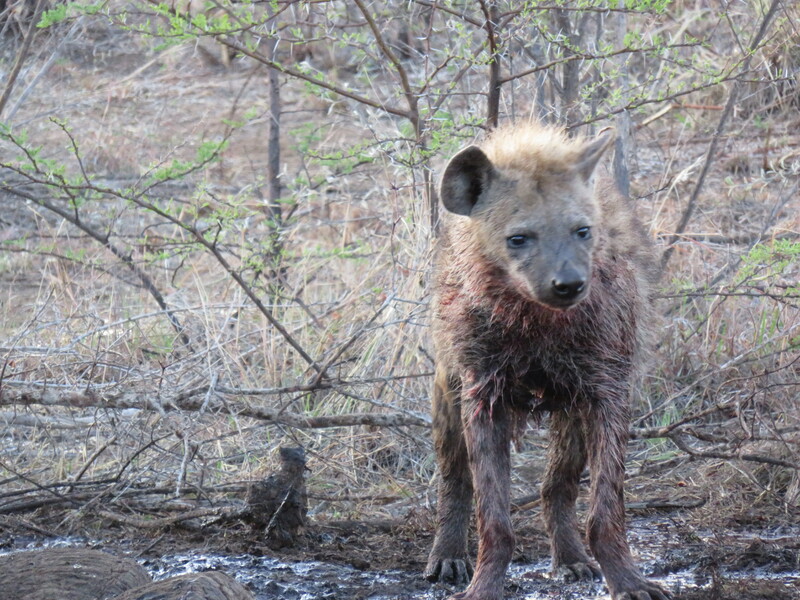 A vulture was spotted circling above the carcass but we unfortunately left to go home before it landed to tuck in. The saying, “How do you eat an elephant? One small bite at a time.” was coined by United States army general Creighton Williams Abrams Jr. (September 15, 1914 – September 4, 1974) who used it to explain that when doing something that is difficult, do it slowly and be careful. Allow the specialists to come in and do what they do best. Wait your turn. 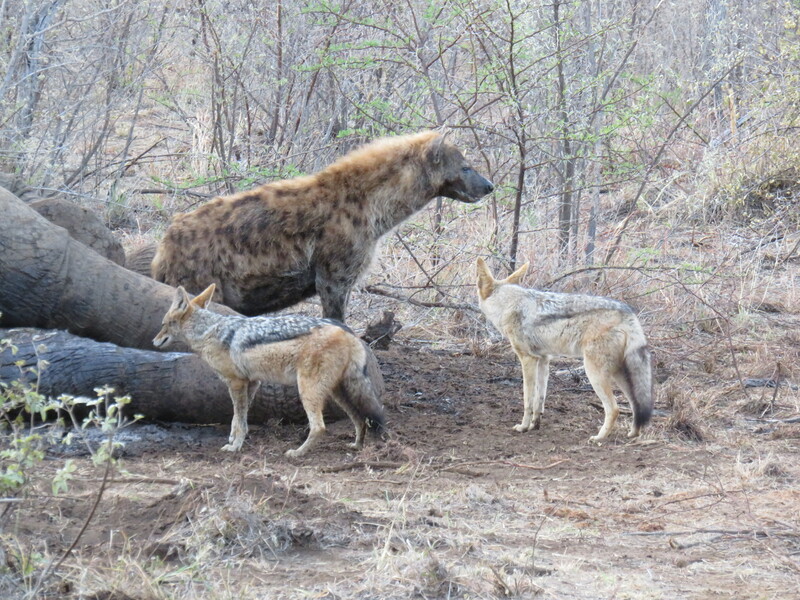 Sometimes the King of the Jungle (lion) needs to rely on the scavengers (hyenas). It’s acceptable for skill to triumph over hierarchy in large projects. I agree with Abrams. It takes time to eat an elephant. It’s not something that can be rushed. But for those eating, enjoy every bite! What an awesome sight to observe! 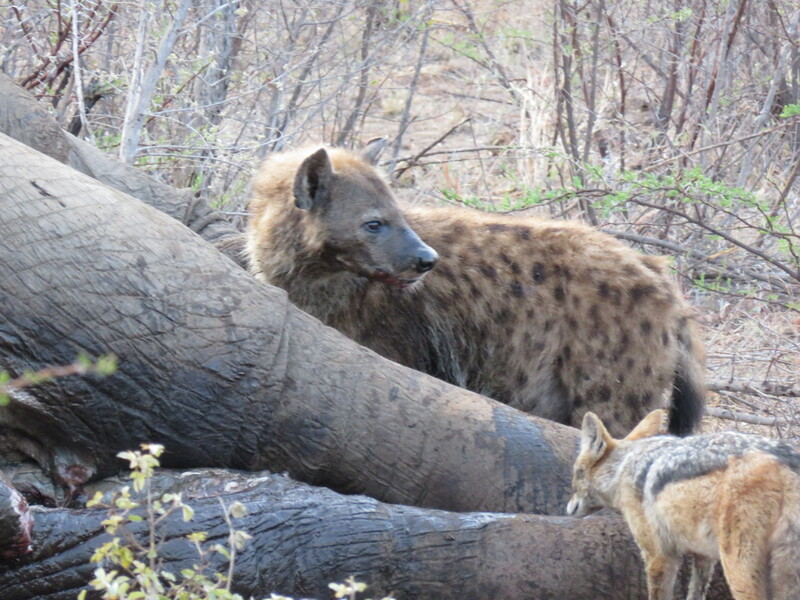 This entry was posted in My Holidays and tagged brown hyena, dead elephant, hyenas, jackal, lions, south africa, spotted hyena, tuningi safari lodge by Bo. Bookmark the permalink. Great post Bronwyn. Really enjoyed reading this. Awesome post B, and SO SO SO true! The comment of “It’s acceptable for skill to triumph over hierarchy in large projects.” also resonated so much with me! It read somewhere along the lines of – what an amazing experience! And then rambled on about how I love the fact that we all have something that we are good at. Even when the rest of the world wouldn’t consider it as “prestigious” – we all have a place and a purpose – and we’ve been created in such a way that we can do exactly what we are meant to! I love this insight! So true. It’s amazing how we’ve been created in such a way that we all work together! What an amazing experience! Love the added comments, it also goes to show that we all have something that we are good at – it may not be what the world would consider prestigious, but we all have a part to play!